Fun / MDK March Mayhem: The Champion! 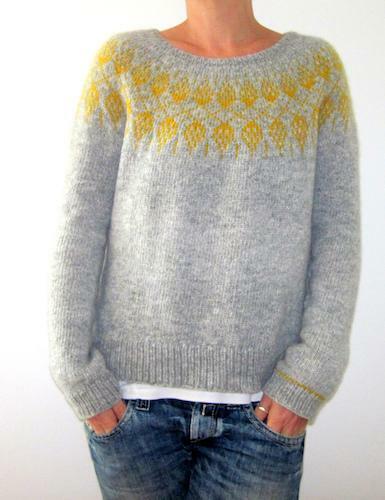 Humulus falls squarely in the sweet spot of the Isabell Kraemer catalogue of designs. Its easy silhouette makes it a winner for just about every body type. The yoke is clever—a wink to the hops flowers that Isabell tells us are commonly grown in her part of the world. And which are used in beermaking (if you haven’t been paying attention to the artisanal beer world these days). 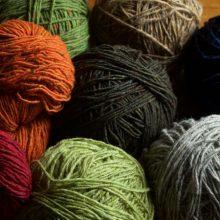 The worsted weight yarn means that it’s a quick pullover to make. It’s a top-down, seamless construction. 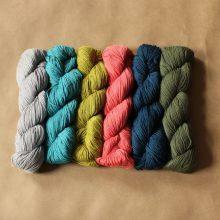 And a jillion beautiful yarns will work with this pattern. 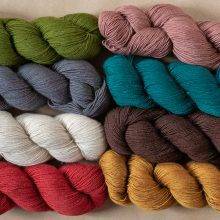 You can see the fun that knitters are having figuring out their colorways for Humulus over on Ravelry. You can go for subtlety or high contrast. We love that. Where does the champion of MDK March Mayhem live? “Besigheim is a municipality in the district of Ludwigsburg in Baden-Württemberg in southern Germany. It is situated 13 km north of Ludwigsburg at the confluence of the Neckar and Enz rivers.” Thanks, Wikipedia! Straight outta Besigheim . . . north of Stuttgart . . . southern Germany . . . time for a road trip, clearly. A recent interview on Fruity Knitting lets us hang out with Isabell as she talks about her design process, how she gets her ideas, and what she’s aiming for in her designs. The interview with host Andrea Doig begins at minute 43:25. In the interview, Isabell talks about how her years as a test knitter gave her an understanding of technique and pattern writing. A 2012 interview, “Qs for Isabell Kramer, the human sweater-knitting machine,” by the eagle-eyed Karen Templer of Fringe Association, captures Isabell in the midst of her epic test-knitting adventures. Follow Isabell on Instagram for the never-ending stream of beautiful things she’s designing. 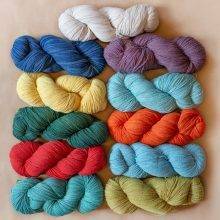 And get into a lot of Isabell Kraemer pattern trouble on Ravelry. Thank you to everyone who sent in their bracket predictions—nobody predicted Humulus would be the champion! And needless to say, the editors of MDK totally sucked at predicting. Our brackets cracked in Round 1, which simultaneously pleased and appalled us. We thought we were so good at this. Not gonna lie: now that Mayhem has come to its conclusion, we are bereft. But not that bereft. We have 64 patterns to make. We’re going to be busy. We are going to have the best kind of post-Mayhem fun. 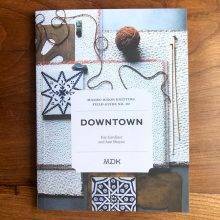 Coming this week: a knitalong for everybody who’s found an MDK March Mayhem pattern to love. With 64 to choose from, it’s pretty much guaranteed that there’s something from the bracket you’ll want to make. The 2018 bracket will live on right here, as an easy shopping list for you. 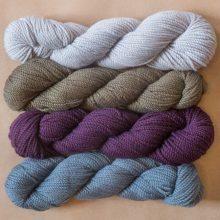 We’ve just launched our new collection of Jill Draper’s Mohonk, in nine shades. It works for Humulus as well for a bunch of other Mayhem patterns—you can see the pattern ideas in the Mohonk product listing. 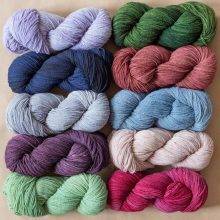 And we have other special yarns coming in very shortly, so if you’d like first crack at those, be sure to subscribe to Snippets, at the bottom of the page. Finally, thank you to everyone who spent time being a part of MDK Mayhem. Isabell Kraemer, we hope you enjoy this moment. It looks like the Hadley with a different yoke design. I had a really hard time with this year’s Mayhem, only because it was agonizing for me to make my picks. The farther it went, the harder it got to pick, since all the patterns were so great! Congrats to Isabell – Humulus has been in my library since it first came out. A beautiful winner!! I have added this to my list of favorites and plan to knit it one day. 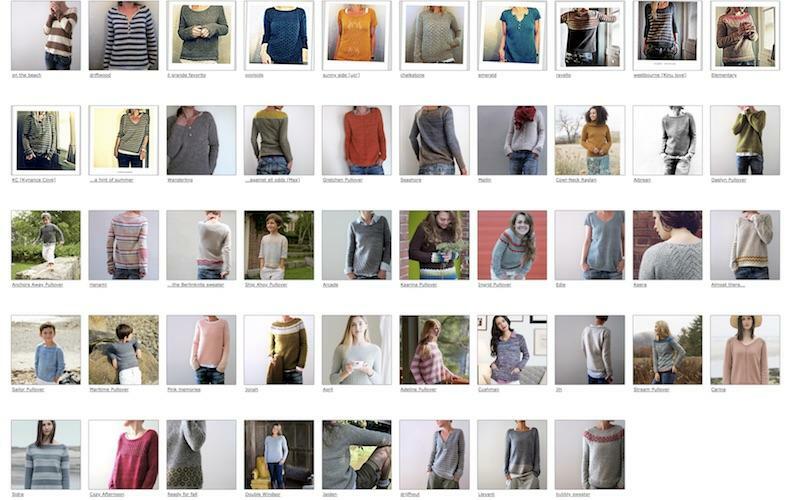 Isabell’s sweaters have been pinned to my knitting boards for years but I did not realize they were her designs until I just viewed her Ravelry page. All 64 items are to die for – like many others, I just could not make up my mind which one was the winner so thank you to all who voted for making the decision for us! So much fun, thank you all! Congratulations to all the winners. I am knitting Anne Hansen’s Edison next. I started making Humulus a few weeks ago! It’s a wonderful sweater and pattern is beautifully written! You won’t be disappointed! Congratulations, Isabell! Got this on my list, too! 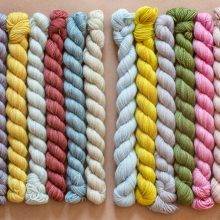 Can’t wait to get the yummy yarn and cast on! I always learn something from you two. One day it’s how to butter toast, the next it’s German geography. Love it! I second the Smonakey! It was really, really hard to choose. Great to have 64 new patterns to play with now. I am delighted Humulus won. I loved this sweater from the beginning, and I had fun with March Mayhem. Thank you. Congrats to a beautiful winner! I’m itching to cast on Fern and Feather now. I loved following along and voting in March Mayhem. Just wondering, how many people voted in each round? I’m trying to convince my basketball-loving co-workers that March Mayhem is a big thing! CONGRATULATIONS!! I’ve loved this sweater since the moment I saw it. So glad that I was able to vote. Can’t wait to cast it on! I am on my third Weekender but love Humulus too! Runner up? Third place? Miss Congeniality? Can we have the final line up of the last four? Thank you so much for all of the research and production that took to pull together. I like your criteria for the initial selections. If anyone’s interested, there’s a new show on Netflix with Nicola Walker as a gay Anglican priest. It’s called Collateral and it’s a four episode show just released this year. I must admit Humulus was a fave of mine before March Mayhem. It’s now easy to say if I had ofedicted it would have been this one or maybe Big Sister….. Thanks again for the all the fun of playing this pattern bombing game! Much more intereting than that hoops thing. 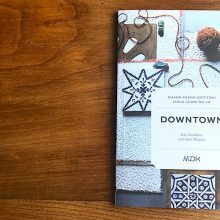 To counterbalance all the pleasant comments about Isabell Kraemer’s design, I find Isabell Kraemer’s designs a bit on the boring side – though the photos on the Instagram feed hint at a broader repertoire than her top-down, minimal patterning, no shaping, which gives you far too much stocking stitch [to wit the front cover of Pom Pom Quarterly latest edition is Isabel’s, she has a very identifiable aestetic, like many designers so you don’t need to be told it’s Isabell’s], would imply. She had quite a nice pattern in last month’s Knitter magazine but even then it’s a bit bland somehow. It’s textured but I much prefer the slightly more rustic textured patterns of Thea Colman, Carol Feller, Linda Marveng, Sarah Hatton, Ysolda etc. 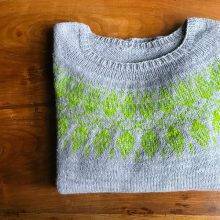 Isabell’s patterns are maybe great for beginners to colourwork (but to be honest I’d come into that category too). I did notice that the more complex patterns got bounced earlier in the process of March Mayhem. The pattern I personally preferred out of all the patterns was Ysolda’s Threipmuir, despite it being a top-down design. It won’t be a surprise to learn I didn’t vote for Humulus. I voted for her fellow German, Melanie Berg (aka Mairlynd). Her design was far from being one of her best or one of the best in the competition as far as shawls go too. It works to a large degree due to the colours and not the design itself. I am one of those people who loves what appears to me to be the body-skimming ease of most of Isabell’s sweaters. Waist-shaping does not work for me because it implies a curvaciousness that my body cannot live up to, thereby eliciting a lot of confusion (at best) from both on lookers and me. And oversized is way too much fabric. However body-skimming works well – it implies, rather than actually signals a waistline which is flattering on me and the resulting amount of fabric neither overwhelms nor constricts me. (I am short-waisted and have an indented midriff on my thin days but no actual flaring out to the hips which are pretty straight, in case you want a handle on how my body type is shaped:-). Anyways, I love and favorite designs like Isabell’s but may never knit another sweater since it takes me so long to finish one! 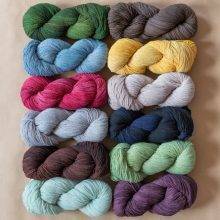 If I did the slightly dropped neckline of Xstatic is the one I would choose. But the simplicity of any of hers allows you to choose your own yarn and embellishments thereby, for my purposes, preventing boredom. 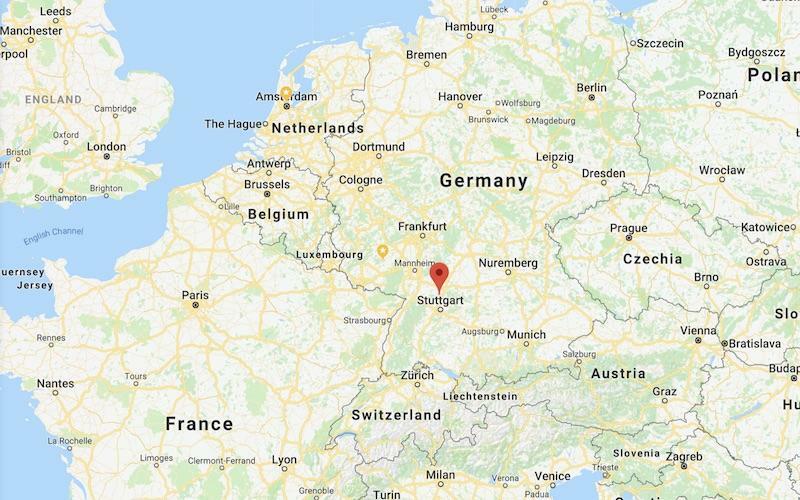 Too funny – my father’s family is from Mundelsheim…less than 10 miles from Besigheim…the kids from Mundelsheim take the bus to Besigheim once they are 5th grade and up to finish their schooling…very cute little city if you ever get a chance to go!